SEOUL -- South Korea's top mobile carrier SK Telecom launched a next-generation messaging service based on Rich Communication Services (RCS), a communication protocol with large file transferring capability, through Samsung smartphones. SK Telecom works with other South Korean mobile carriers to promote the new messaging service. They believe the super-fast speed of 5G mobile networks will help users share large-sized files faster in sending and receiving RCS messages, but many smartphone users still favor Kakao Talk, a popular messenger app using 4G networks. RCS is a communication protocol designed to replace short messaging service (SMS). In 2016, GSM Association (GSMA), a trade body that represents the interests of mobile network operators worldwide, published the Universal Profile, a single specification for advanced communications. 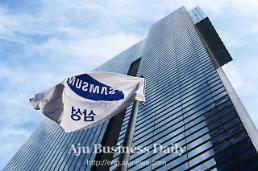 SK Telecom said Tuesday that it began providing RCS through selected Samsung smartphone models -- Galaxy Note 9, Galaxy S9 and Galaxy S9+. The mobile carrier said users can activate the new messaging service by updating a default messaging app. RCS allows users to send large files and transfer original photos and videos without image degradation and also engage in group chats. Samsung's smartphones -- Galaxy S8, Galaxy S8+ -- will support the new messaging service in February. 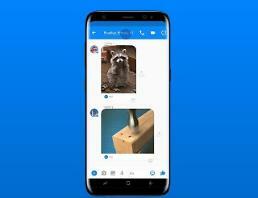 Samsung's upcoming flagship, S10, will have RCS as its default messaging app. For promotion, SK Telecom will not charge for data transfers sized between 5MB and 100MB until Junes. It plans to adopt financial technology (fintech) services such as mobile money transfer and sending gift coupons.